Posted on June 13, 2013 by rodolfomartinez4 Comments on Almost There! I have never been handy or good with anything farm related, but I took to PCs quite young. When I first got serious about working on them for other people, my dad took me to the farm where he still works, and I would do some training, troubleshooting, and trying to implement the vision that he had (which was way ahead of its time for the Canadian Dairy Industry). To give you an idea, I still remember paper spreadsheets when I first arrived, moving to Lotus 1-2-3 (for MS-DOS of course!) and finally getting to the promised land of Excel. Since then, I have helped troubleshoot automated milking systems and a Bluetooth Milk Tank. My how things have changed 🙂 Lesson learned: adopt technology or stay behind. I found that working at a young age was very helpful; it builds work ethic, and if framed correctly work can be kind of fun. This didn’t last long, but it did allow me to re-connect with my grade 5 teacher (thanks Mrs. Matthews for all of your hard work!) and taught me the value of being on-time. Lesson learned: get your customers to pay – ontime! After Grade 9, I moved to Mexico for 2 years with my family. My father’s cattle exporting business need the chance to grow, so we moved. I remember crying, wanting to stay. Looking back I am grateful that my father gave me this opportunity. I brushed up my (at that point) almost non-existent Spanish, re-connected with family there, and got to spend more time with my Dad. I got to learn more about his business by travelling with him to client meetings, and got involved in his car repair shop. I washed cars, and when money went missing I learned how to book keep. It took years for me to realize the amount of trust that was placed in me, and the accounting was kind of fun. I did manage to find significant amounts of missing cash. Later, at the age of 15 and part of a highschool co-op, I bartended. Not legal to drink, I was pouring drinks all day long. Leaving Mexico was bittersweet, although driving back with my father was a fantastic experience; seeing the transition from a suburb of Mexico City, to the US/Mexican border at Nuevo Laredo, to the farmlands of the Southern US, and back to St. Thomas, Ontario (a city of 25,000 vs. Mexico City’s 25,000,000) was mind-blowing. Lessons learned: way too many, but trust that if you have a family that loves you, they’ll be around longer then some of your highschool buddies. This job was BRUTAL. For the first month, I would wake up at 4:30 AM, get to the farm for 6:00AM, work until about 2, come home and be asleep by about 5:00PM. Yeah, seriously. Dinner at 4PM. Heatstroke, having chunks of my finger tips just kind of torn-off/disappear with no real bleeding (still trying to figure that out). Jumping off a 12 foot drop that my buddy swore to me was only 2 feet, getting pesticide sprayed in my eyes by the machine we rode to pick on, and having to learn to work fast, efficiently, in a team, and basically try to become twice as strong in a matter of weeks (bags of wet tobacco leaves are heavy!). This was a test of my endurance, and one that I like to think I passed. Overall, it was fun. Lesson learned; hard work builds character and tests your limits. So, who would take a job working in a warehouse full of smelly compost that needs to be kept at 45° in the middle of summer? This guy 🙂 I worked with some interesting characters, amongst them a super-serious boss who could not change his facial expression or show any real emotion, was super efficient, worked like a robot, yet could not seem to show up to work in a T-Shirt that was not Rage Against the Machine, Metallica, etc.. I also had the chance to meet a cool individual from Africa, a gentleman by the name of Ring, who told me something that I had a hard time understanding: he had not seen a movie before the age of 15 or so. The movie? Kevin Costner’s Robin Hood: Prince of Thieves. It really puts things into perspective, like the things we take for granted. I’ll go home and watch Netflix, while many people on this planet have never used a telephone in their lives. Lesson Learned: if you have the ability to read this, you are probably lucky. This was a bit odd, as I actually got to work with the father of one of my best friends from elementary school. Suddenly I was working with “Dave” instead of “Mr. O’Grady”. It’s funny how we drill into kids that Mr. & Mrs. are forms of respect, yet the act of being allowed to be on a first-name business with Dave really earned him points in my eyes (of course I respected him before; he is one of the nicest people you will ever meet, a life-long learner, and just all around bright). I learned a lot about warehouse type stuff, and to never, ever mix muriatic acid and chlorine. A fun summer gig, but one that I had to let go because of a spinal cord injury. Lesson learned: respect is earned, and can be earned easier then you think. Municipal World is a very interesting business – it is a publication for municipal governments, and they also handle materials for municipal elections. It was there that I met my buddy Craig (who is a fellow wrestling fanatic), as we did warehouse type work. Our bosses were super-cool, and I feel that I learned a lot. Beside the warehouse and election components, Municipal World also helps to draft municipal law, and I was allowed to assist in proof reading, and reviewing some French content. It was just a really unique experience. I’ll never forget the interview process – “Yeah looks good. Can you start right now?”. Lesson learned: you can learn some cool stuff at jobs that might otherwise seem crappy. This was a job that just felt a bit over my head. Fresh out of school, I worked for straight commission. My job? To export refurbished/off-lease PC equipment to Latin America in wholesale quantities – i.e. in 20 and 40 foot containers. This is where I learned about NAFTA, how it prevented the importing of used PCs into mexico (my homeland and the largest target market in Latin American for us at the time), and trying to do business with Cuba. I made virtually 0 dollars, but had a delegation from Cuba come to visit where I leanred the ropes of translation. I did speak Spanish, but never really had played translator before. Our delegates didn’t just want our hardware; they also wanted to tour a manufacturer of water treatment equipment, a health software development firm, and a few other places. I learned and had to translate stuff related to a bunch of industries on the fly. It all went well, but unfortunately a greedy boss threw it all away. Lesson learned: take control where you can, because one bad apple can piss away a great deal. I did get a chance to make some great friends though. Ok, so I’ve just realized that I’ve had a ton of jobs. I’m going to break this up here, and hopefully you’ll find this interesting enough that you’ll want to read part 2 of Almost There! So, how did I launch a Comic Book Publisher? Pingback: Almost There! 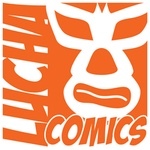 Part 2 | Lucha Comics!